Last night, our daughter (kindergarten) told us she thought she was making people sad, that she wasn’t good but bad. She said that her friends don’t want to be her friends anymore and they don’t want to play with her. Naturally, we were just a tad concerned. She is a bright, sweet, generous soul who loves people and wants to be friends with everyone. So what could be making this happen? As it turns out, it seems to be just be one “friend” in her class that is the issue. They had an argument over the pronunciation of a word they are learning in Spanish. Thus, said friend is “being mean” and doesn’t want to play with our girl anymore. We had to dig a little on this one. If you’re a parent, or have anything to do with young kids at all (or maybe older “kids”, too…) you know how tenuous their “truth” can be. The perspective of a six-year-old is not exactly gospel truth! 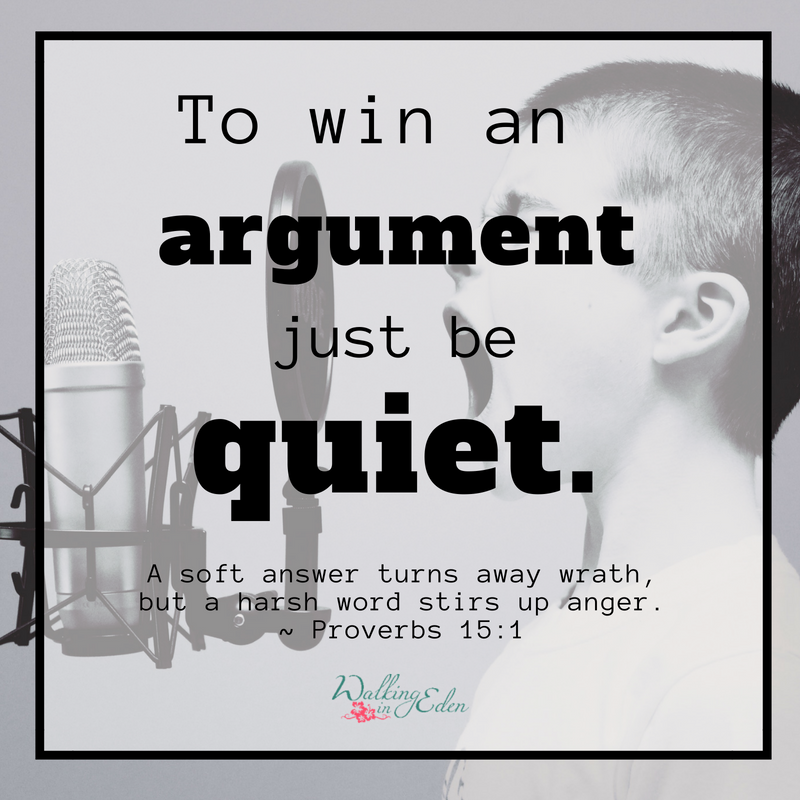 As we discussed being kind over being right, treating others with love even if they’re wrong, and asking God to help us with the words we say, I began to see what may potentially be a problem with our sweet girl. Some might call it being a know-it-all; it might border on goody-two-shoes; it’s definitely a propensity to want to make everything right – even trying to correct anything – and anyone – around. Now don’t get me wrong. I know she has no desire to be unkind. She simply doesn’t understand that telling others they’re wrong – whether it’s how to say “Azul” to where to sit at Circle Time – is foolish arguing. It’s a control issue, though at six she doesn’t understand that. She just knows there is right and there is wrong, and we should try to do right – and, typical to the human race, she thinks everyone else should see it that way too! But this post isn’t really about control; it’s about foolish arguments – of which I believe control is often, if not always, the root. Be honest with yourself. When you get into conflict, what really caused it? There are a million legitimate causes for disagreement, and these need to be sorted out. But how many of our “fights” are truly legit? We pick fights with our spouses because something else is bothering us. We criticize our kids because we ourselves have failed (and then we wonder why they argue about “Azul”… just sayin’.) We conflict with a coworker because they didn’t do it our way. There is Truth to speak to all of this. Just a little research nearly overwhelmed me with all God has to say on this topic. I’ll try to break it down into just a few beautiful truths to remember. Sometimes, you just need to let an argument go. It’s nearly impossible to win a foolish argument, isn’t it? Sometimes, we just need to let it go. This may mean “agreeing to disagree”, or it may mean disengaging completely. The Bible says a lot about controlling our tongues, and it’s often about just keeping quiet. As hard as it is, do everything you can to avoid the argument in the first place – and when you can’t, you may need to let it go. Apologize for hurting another person, even if you thought you were right. This could be called “being the bigger person”. Most of the time, it’s not about being right over the other person; it should be about being right with them. The relationship trumps being right. The point here is that even if you’re in the right, the other person has been hurt (or at least perceives that they were hurt) – even if it wasn’t intentional. Care more about showing them love than about winning the argument. Stand up for what is right, but do it gently. We are called to stand for our faith, for good, for right. We’re even called to fight for it! But the Bible says to do this in love. Don’t give in to what’s wrong, but stand strong gently. Be good without being self-righteous. Get off the soapbox, jump down from the pedestal, avoid holier-than-thou. Whatever we want to call it! We’ve all been there. This goes closely with the last point. Live a holy life, but live a humble life. Know the truth without knowing it all. The Bible says a fool cares more about getting in his two cents than in truth and understanding. Imagine what a world it would be if we all sincerely strove to understand each other, regardless of opinions! It doesn’t matter if the other person is wrong or just has a different opinion – we can teach truth and express our own opinions in gentle love without steamrolling each other or becoming haughty know-it-alls. This is what it all boils down to. You may well be right; but if you’re not kind in being right, it won’t matter. Ask God for the right thing to say. God has given us the Holy Spirit; he is our guide, our teacher, our intercessor. He will give us the words to say – we have only to ask! If our speech is gracious, there will be no foolish arguments. This is really just a brief overview – this topic can get really deep, and it’s tied so closely with kindness, gentleness, love, holiness – the list goes on! I hope, though, that it’s a starting point to help you. Because I don’t know anyone who couldn’t use some help in avoiding foolish arguments! 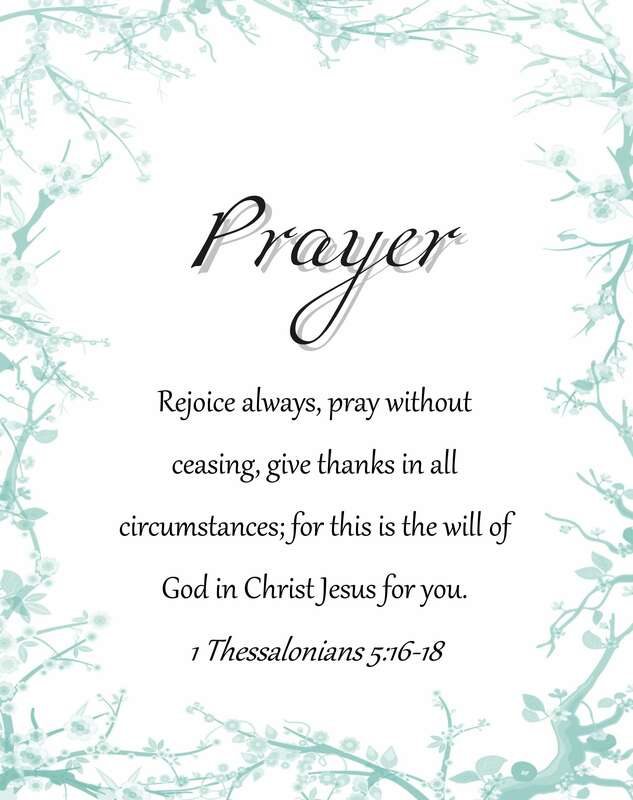 Have a blessed week, friends!